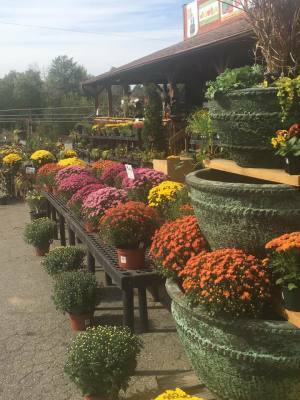 Soviero's Tri-County Garden Center has been a family owned and operated business in High Point, NC since 1989 . It was the dream of my late father Clem Soviero to own his own retail garden store. After a lifetime of hard work he found success here in High Point NC. We carry on that dream with the ideals of family, community, and hard work. Through many trials and tribulations including a fire which leveled our building these ideals still endure. Our business is geographically located at the point where Forsyth, Davidson, and Guilford counties meet. Mixing old world charm with hip new trends there is something for everyone. From bulbs that mark the emergence of spring to elaborate holiday decorations that deck the halls, Soviero's has special items all year long. My mother Patricia Soviero and I work hard to maintain a location to be proud of.